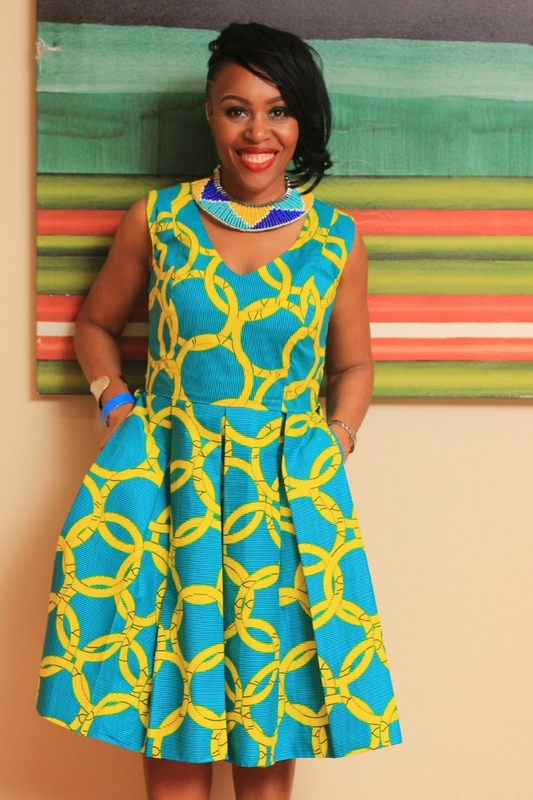 African clothing – This dress is one of our best sellers it’s. An adaptation of the popular Shantel pleated dress. 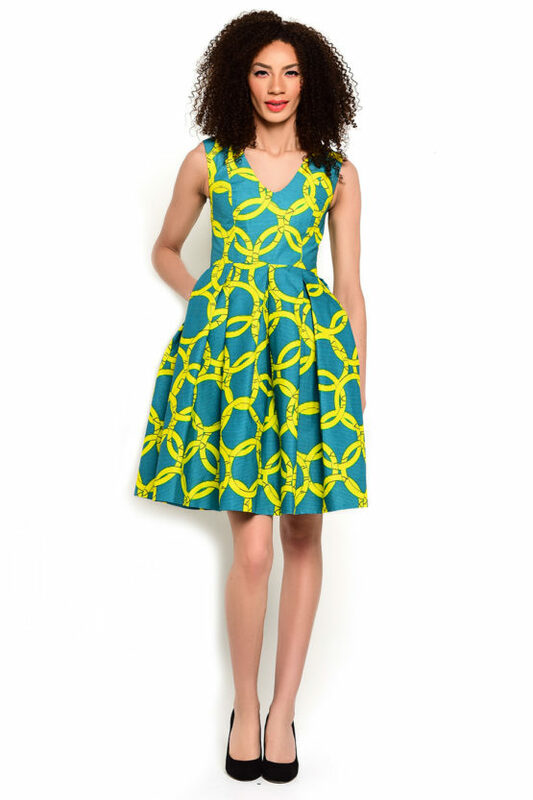 It has pockets at the side seam and deep pleats for a dramatic look. 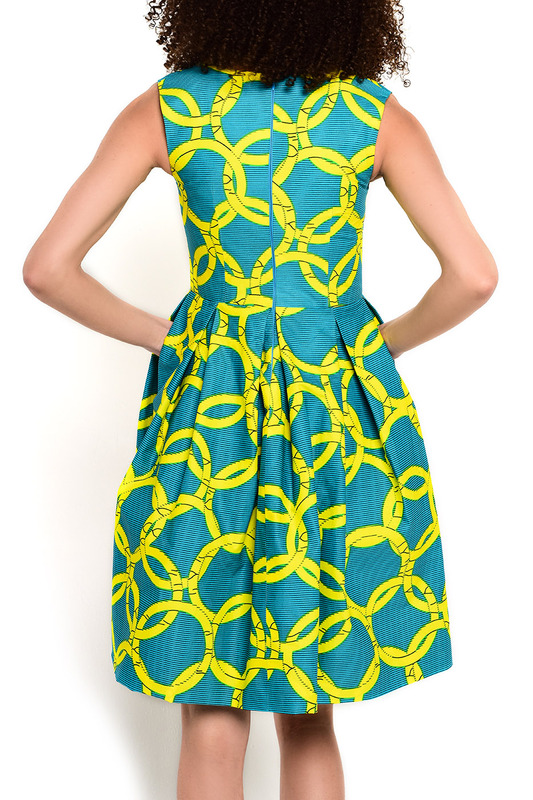 Perfect for a day at Ascot or as a wedding guest. 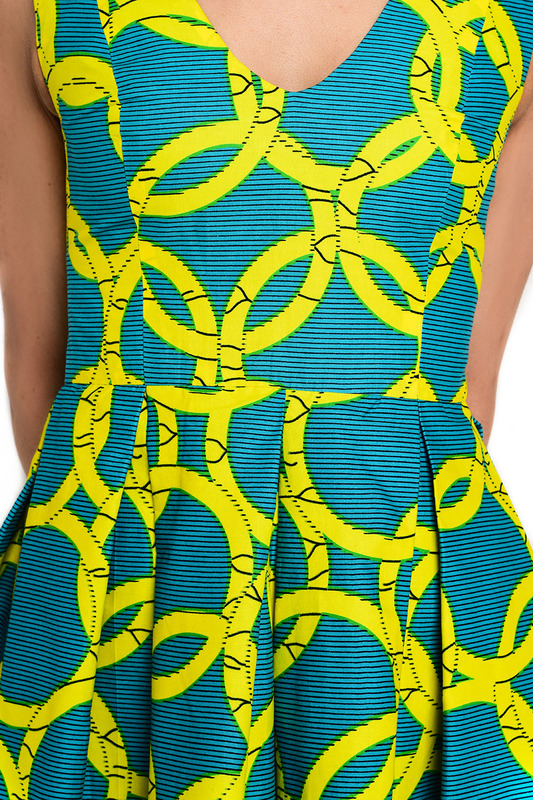 Behind The Scenes The print of this fabric is called “Abankaba” from the Twi language in Ghana meaning “government” the rings on the dress are based on the handcuffs the police use to arrest people, This is typical of West African Ankara print fabrics to draw inspiration from everyday mundane objects, we think its genius!